In latest celebrity news, John Cena and Nikki Bella have separated after being together for six years. Bella shared on Sunday, “While this decision was a difficult one, we continue to have a great deal of love and respect for one another. We ask that you respect our privacy during this time in our lives,” via Instagram. Meanwhile, Cena has been posting quotes and memes on Instagram since then that are leading the public to believe he is alluding to his celebrity break-up. On Tuesday, he posted a meme that said “Worst day ever!” He also posted a quote from Kwame Floyd saying, “It’s not what you go through that defines you; you can’t help that. It’s what you do AFTER you’ve gone though it that really tests who you are.” A source shared with EOnline.com that Cena did not truly really want to get married in the first place. Also, Bella wanted to have kids and start a family while Cena did not. Clearly, this celebrity couple did not make for the best match. 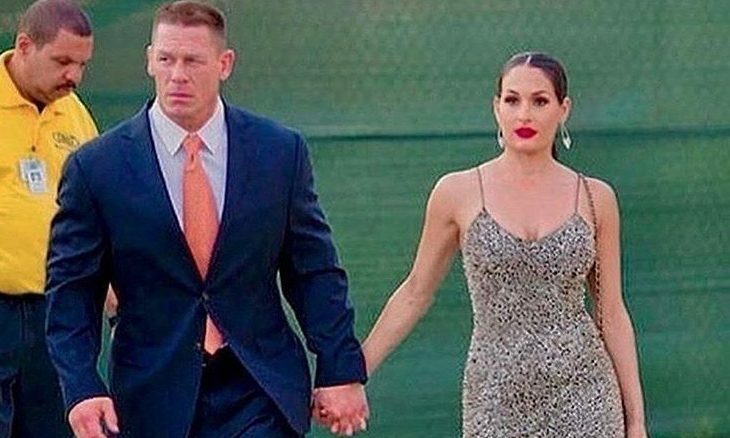 In this celebrity break-up, John Cena wasn’t expecting it, and he’s heartbroken. What are some ways to cope with an unexpected heartbreak? 1. Be kind to yourself: Try not to be too hard on yourself. Remind yourself that despite what you are feeling, it is not all your fault. It takes two to be in a relationship and there were probably aspects from both of you that led to it not working out anymore. 2. Keep busy: If you and your partner were together for a long time, it may be very different for you to live life without them all of the sudden. Make an effort to fill up your planner so that it leaves you less time to sit and sulk in your bed. The more you are out and about the easier it will be to move on and make this life the best it can be. Related Link: Are Nikki Bella & John Cena Calling Off Their Celebrity Wedding? 3. Reflect: This is just another learning experience. Look at what you think you may have wanted to do differently in this relationship and make efforts to become this improved version of yourself when you are ready to embark upon another partnership. This process of self-reflection can really help to broaden your perspective and grow as a person. What are some other ways to cope with unexpected heartbreak? Comment below!